She is suffering from terminally ill cancer and has opted for the Jain ritual of Santhara. 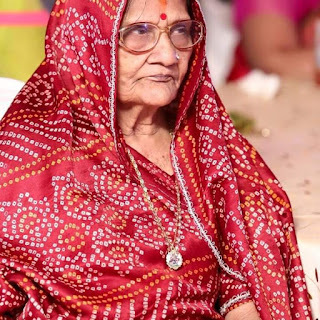 Kolkata: 83-year-old Sohini Devi Duggar, who had been diagnosed with terminal throat cancer last year, has opted to undertake the controversial Jain practice of ‘Santhara’ — a voluntary fast unto death. Her family which is supportive of her wishes says that as per beliefs of Jainism, a person who performs ‘Santhara’ will achieve “moksha’ of being freed to attend rebirth. “All her life she has been a spiritual person with total devotion to the almighty. It is not that due to throat cancer alone that she has decided to perform ‘Santhara’,” said Anant Duggar, Sohini devi’s grand son. “The whole idea of this ritual is to prepare oneself for the life after death and prepare to part it with dignity. She took this step when she felt that it was no longer possible to sustain her life on just external medicines and treatments. She wanted to forgo all human connections and attachments,” Anant explained. Even as hundreds throng to visit the ailing lady who is fasting sans water since September 20, this ritual has been controversial in India with the Rajasthan High Court having banned it last year citing it as an “act of suicide”. Though, the Indian Supreme Court subsequently restored the Jain practice of the ritualistic fast unto death by staying the order, many believe that the police and the courts should have intervened. “In today’s world it is difficult to believe that someone is dying without medication. We understand that she must be under severe pain, but there are medicines which could have given her temporary relief,” said Dr. Soham Pal. Others wonder, whether this was thrust on her by her children as it is uncommon for children to dump their parents in old age. “We do not know the story as to what made her decide this. Unfortunately she is not in a position to talk. It is not normal for the person to give up food including water and wait for death,” said Sutapa Deb, an activist for caring the elderly in the city. Many even think that the state should intervene and see that whether further treatment is possible on Sohini Devi and whether she should be allowed to die like this. “This whole act of welcoming death is rather unnerving and the way people are visiting her as if she is deity is even more pathetic,” Sutapa Sanyal, a sociologist.